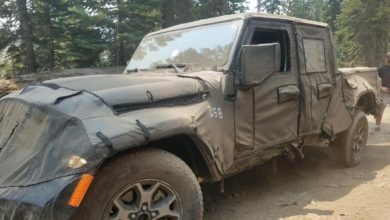 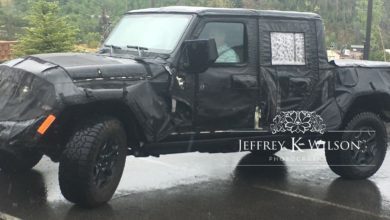 The 2020 Jeep Scrambler Pickup has been spotted testing its towing capacity along with the 2-door JL Wrangler. 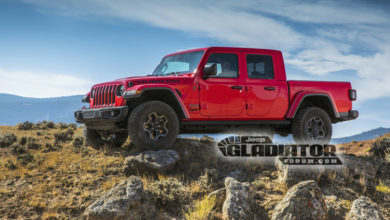 While the JL Wrangler tows a smaller 5×8 cargo trailer, the JT Scrambler is towing a much bigger twin axle trailer, which typically rates around 7,000 pound maximum. 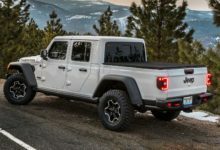 At 7,000 pounds tow rating, the Scrambler pickup would be competitive with its direct rivals – the Toyota Tacoma and Chevy Colorado, which are rated for 6,800 and 7,7000 pound tow capacity. 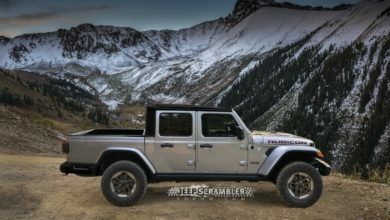 Have a look at more photos of the Jeep Scrambler Towing Test.